I'm always listening to music while I'm drawing, and I'm very album oriented in my listening: here are a few recent CDs doing plenty of rotation at my place. 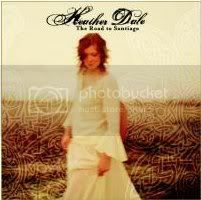 I'm a complete fan of this artist already - all her CDs are wonderful listening, but I think The Road To Santiago is her finest yet - definitely start here if you haven't heard Heather Dale already! This album sees Dale branching out, exploring new musical and thematic territories. In the past, her work as songwriter/musician (and sometime prose writer), has tended to focus primarily on the Arthurian myths and medieval-influenced music. From the opening 5/4 of Dale's piano and vocal on Hero, it's clear this album will be full of new surprises. As ever, Heather Dale's remarkable, versatile voice - a beautiful instrument in a league only with Loreena McKennitt or Mary Fahl (October Project) - proves perfect for voicing her intuitive, moving, often witty lyrics. Overall, her songwriting on Road conveys a sense of people in place, accompanied by imaginative production and lyrics. J also loves this album, particularly The Black Fox, Yew Tree and Sedna. If your musical interests include Celtic, folk, folk-rock or folk-progressive, you need this CD in your collection! 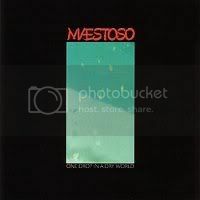 "Here we go..." Essentially a solo vehicle for the songs of Woolly (AKA Stuart) Wolstenholme, keyboardist and sometime vocalist with Barclay James Harvest, this album is a real gem and took me by surprise. The bizarre fragmentation of BJH into two bands some years ago aside, Wolstenholme has seen a resurgence of energy and inspiration in recent years, with several new albums. Something that is strong throughout is, as expected, the arrangements, featuring plenty of mellotron for orchestral depth. There's also a tight band feel overall, with guitar, bass and drums making full contributions to the sound and doing justice to the Wolstenholme's powerful, committed, often poignant, songwriting. There's a sociopolitical bent to much of the material. However, the balance of personal and political is right, with pieces like the insomniac anthem 2 am offsetting more cynical fare, such as ANSS (Another Summer Song) and We the Starving People of the World Thank You for Your Time. The whole album rocks along solidly, abounding with hooks that bring out the emotional core of the songs, often reaching soaring heights as in the show-stopping, Middle Eastern influenced Souk. Wolstenholme's reedy, wistful vocals are featured to great effect across a range of styles. While his range and pitching are sometimes limited, he works his voice to these limits perfectly, with moving pathos and expression (think underrated members of other bands such as Dewey Bunnell in America or Randy Meisner in The Eagles). A majestic but heartfelt album that calls to be heard repeatedly in its entirety. See: Woolly Wolstenholme. Wow, Steve Hackett has finally got around to freshening up his classic first four albums. I hesitate to call them "solo" albums - even though they are the wide-ranging vision of one extraordinarily brilliant artist - because they generously feature the contributions of a staggering array of well-chosen guests. 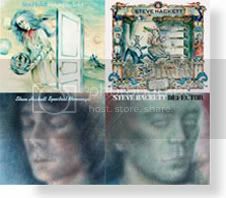 People seem to vary as to which of these four is their personal favourite, though Voyage, recorded while Hackett was still in Genesis and featuring both Rutherford and Collins, has something of a cult following among progressive rock fans. My personal favourite is Please Don't Touch! which is, to my mind, pretty much a perfect album. While all feature amazing musical diversity - everything from classical, to jazz, blues, soul, reggae, progressive, hard rock, '20s swing, New Age and electronic, sometimes in the one song - none are more eclectic and changeable than this one (some listeners might find this too challenging, but it sits just right with my musical attention deficit disorder :). Featured vocalists include Steve Walsh (Kansas), Randy Crawford and the sublime Richie Havens, employing his warm vocals on the devastating closing ballad Icarus Ascending. The stark clarity of the remastering strikes me as a little harsh in places. The Agatha Christie pastiche Carry on Up the Vicarage sounds almost remixed, with this mix favouring the lower of the absurd octaved vocals, but it's worth it to have the title track of PDT segue into Land of a Thousand Autumns without the track break of earlier CD releases. Personally, I prefer Hackett's solo catalogue (along with a bunch of other Genesis member solo releases) to most of the Genesis catalogue, so being a fan of that band is definitely not a pre-requisite. The Hackett remasters are musically tasty and essential purchases for demanding listeners! See: Steve Hackett.